"He was for me what Elvis was probably like for other people...My course was set, and he was my pilot." 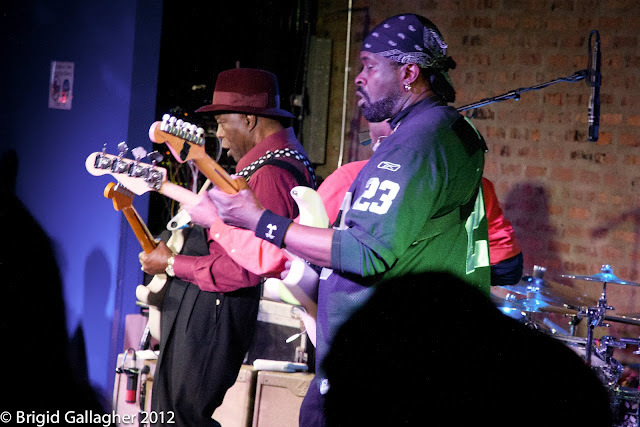 Hmm...how should I phrase this...Buddy Guy is THE MAN. 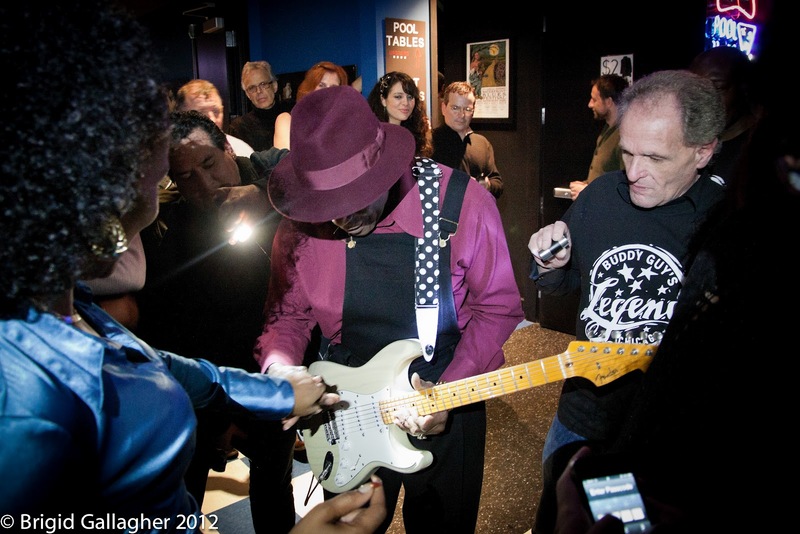 He's a Rock and Roll Hall of Fame inductee; he's one of the greatest guitarists ever to play the instrument; and aside from Clapton, he influenced Jimi Hendrix, Jeff Beck, Jimmy Page, and Stevie Ray Vaughan, to name a few. 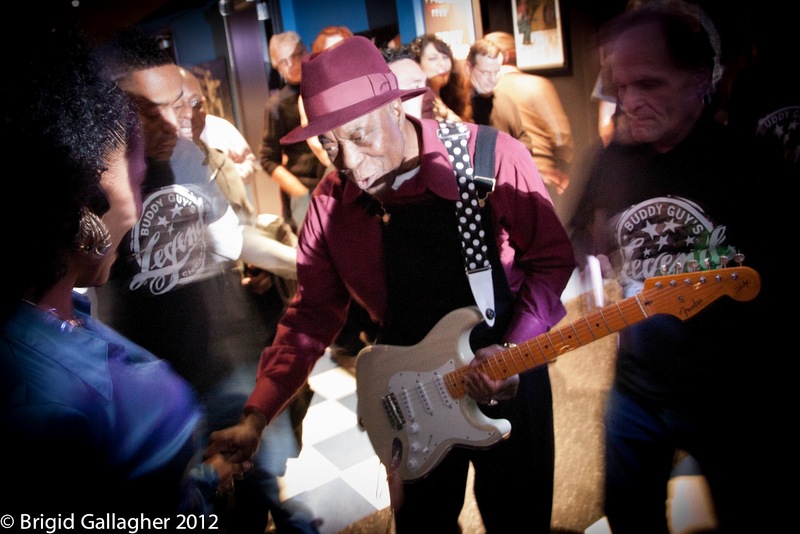 He is Chicago blues legend, Buddy Guy. I finally had a chance to see him perform live during his annual one-month residency at his blues bar, Buddy Guy's Legends. I had heard he put on a great show, but "great" is almost an injustice. He is, at "75 years young," (as he likes to say) unreal. 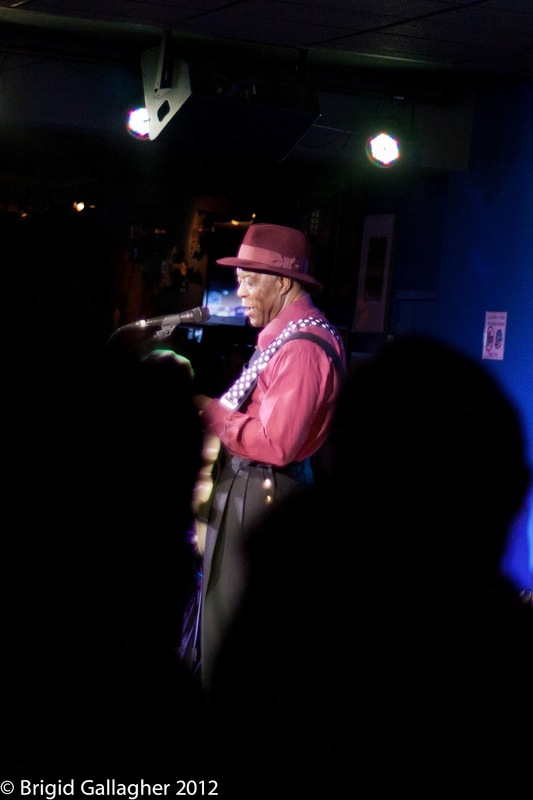 One of his opening songs was a Rolling Stones cover of "Champagne and Reefer," and he kept joking throughout it: "Don't look at me. I didn't write the lyrics." And then he'd laugh, wink at the audience, and go into a furious guitar solo. The set kept building and building, climaxing in Buddy playing part of "Voodoo Child" with his teeth, and jamming Clapton tunes above his head and behind his back. At one point, he walked around the entire venue, guitar in hand, and shocked some women when he played his way into the restroom. Like a fine wine, Buddy only gets better with age. Plus, he was wearing a killer pair of overalls. Below are some photos I took at the show.